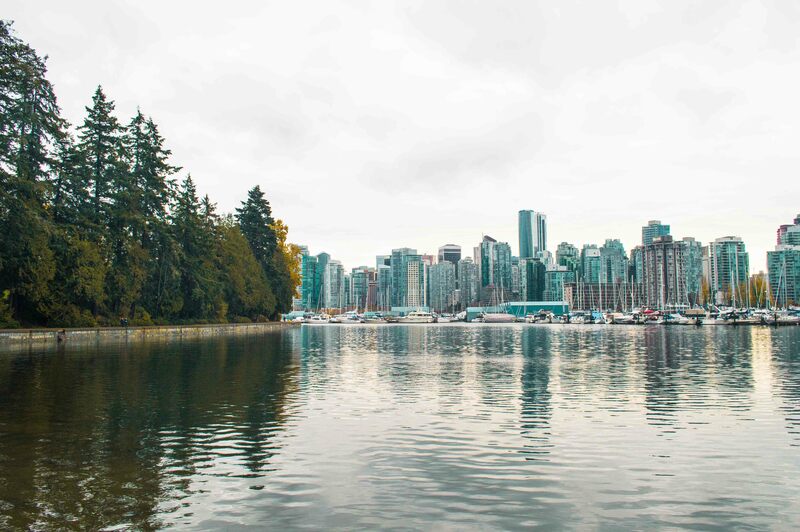 Vancouver is known for having the perfect mix of urban life amid natural surroundings. Locals and visitors alike don’t have to venture far to find the perfect running route—whether they prefer their trails to be remote, coastal, or in the city center. 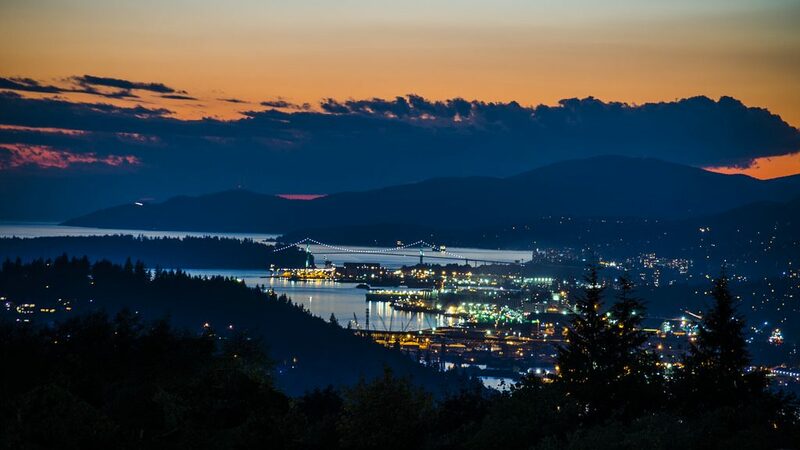 Check out these amazing places to run in the Greater Vancouver Area. The Seawall is the world’s longest uninterrupted waterfront path. It circles the downtown peninsula and stretches towards Olympic Village in one direction, and Kitsilano Beach in the other. There are many popular routes along the Seawall, including the False Creek loop, running from the Inukshuk in Stanley Park to Yaletown, or the Stanley Park loop. It’s a flat and well-maintained trail, which is busiest in the evenings and on the weekends. Mundy Park is a 176-hectare park in Coquitlam, and one of the community’s “most treasured assets.” It has a four-kilometer (2.5-mile) multi-use pathway encircling the park, imaginatively called the Perimeter Loop. There are also other trails going through the area, such as the Waterline and Interlaken Trails. Don’t forget to stop and enjoy Mundy and Lost Lakes and the temperate rainforest ecosystem that you’re running through. 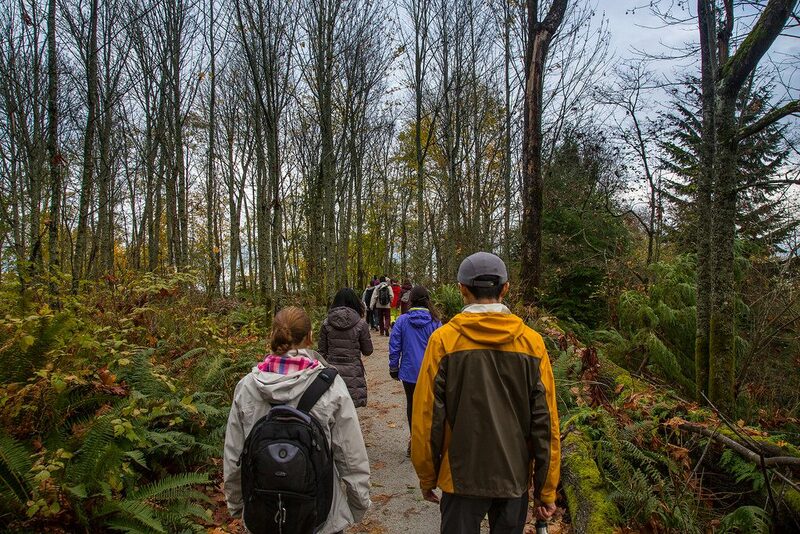 With over 750 hectares of forest within Pacific Spirit Regional Park, this is certainly a place to be one with nature. The park sits next to the University of British Columbia campus. There are over 54 kilometers (34 miles) of trails, which are a mixture of both forested and shoreline tracks. Vancouver Trails highlights one three-hour, 10-kilometer (six-mile) route option that takes runners on a loop through Pacific Spirit Regional Park. Ambleside Park in West Vancouver has a fantastic seawalk stretching just over three kilometers (1.9 miles) west to Dundarave Park. The waterfront path has incredible views across the Burrard Inlet towards Stanley Park and the Lions Gate Bridge. The other option from Ambleside Park is the Capilano Pacific Trail, a 15-kilometer (9.3-mile) round-trip path to Cleveland Dam. The trail follows the Capilano River, which is the border between North and West Vancouver. The elevation gain is 236 meters (774 feet). The largest of Vancouver’s regional parks, Lynn Headwaters has many fantastic (and challenging) running routes. The Lynn Loop is a 5.1-kilometer (3.2-mile) round-trip route that allows you to go through the forest before following the Lynn Creek back. The Varley Trail is an even easier—but just as picturesque—option, with boardwalks and stairs. On the edge of Lynn Headwaters Regional Park is the Rice Lake Trail, which is an easy three-kilometer (1.9-mile) loop. 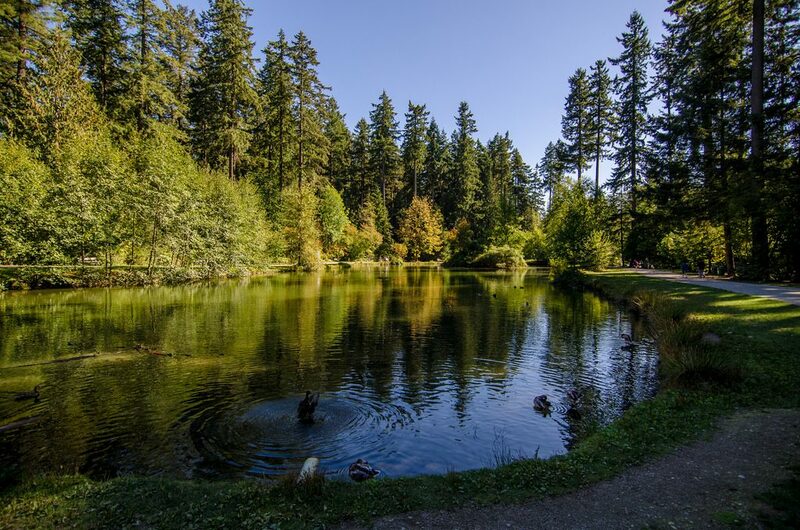 Located on the Vancouver/Burnaby border, Central Park is an 86.4-hectare urban park, recognized for its well-preserved temperate rainforest ecosystem. This scenery is why the verdant area shows up in many movies and TV shows too. There are several trails to enjoy within this green space, with the most popular being the Terry Fox Trail, which is a five-kilometer (3.1-mile) loop that takes runners from the park’s upper pond to its lower pond. 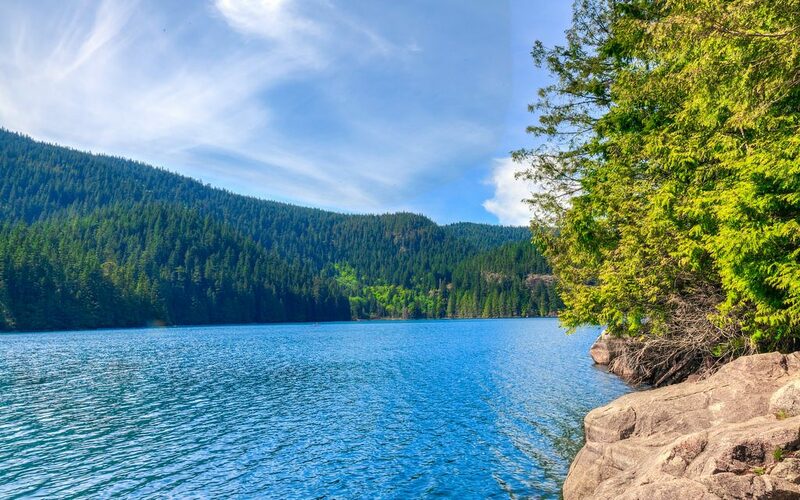 The Buntzen Lake Trail is an easy eight-kilometer (five-mile) round-trip trail that takes runners around one of the Greater Vancouver Area’s prettiest lakes. BC Hydro maintains the man-made lake, which has lovely beach areas and a lot of surrounding forest. There are some serious trails around the Buntzen Lake area, but this loop is undeniably the best running route. The Shoreline Trail begins at one of the most scenic parks in the Greater Vancouver Area—Rocky Point Park in Port Moody. It’s an easy six-kilometer (3.7-mile) round-trip path that follows the coast and Burrard Inlet, from Rocky Point Park to Old Orchard Park. The Shoreline Trail is very popular with locals, so expect it to be busy after work and on the weekends. Burnaby Mountain is mostly known as the location of Simon Fraser University. But the 576-hectare Burnaby Mountain Conservation Area is also home to many multi-use trails (over 26 in fact), which offer excellent views of Vancouver. Together, the trails cover 28 kilometers (17 miles). The City of Burnaby has released a Trail Map for you to find the running route that suits you best. One of Richmond’s most popular trails, the West Dyke Trail stretches for six kilometers (3.7 miles) from picturesque Steveston Village and along the coast to Terra Nova Rural Park; it also sits adjacent to Sturgeon Banks, which is known for its masses of migratory birds. This trail has some of the best views in Richmond of North Vancouver’s mountains and is also an excellent place for watching sunrises and sunsets. From Steveston, you can follow the South Dyke Trail in the other direction.